Sue Burrell and husband Andrew, owners of 'The Best B&B' in the world as appointed by the TripAdvisor 2015 Travellers Choice Awards, are still reeling in the aftermath of the global PR storm following last week's announcement. A great success indeed for the couple who opened up their first bed and breakfast place, the three-bedroomed Millgate B&B in North Yorkshire's Masham, only two years and ten months ago. Sue, a former educator who has worked in mental health, adult education and child protection, first joined forces with her husband in the hospitality business. Together they ran a pub where Sue honed her culinary talents in the kitchen. Sue's homemade bread and 'breakfast to order' are highlighted in scores of rave reviews on TripAdvisor. What has been the key to the success of your business? "Freetobook and TripAdvisor. We signed up for freetobook when the online booking software was first launched a few years ago, just as we first opened our doors. Since then we've signed up for all of their new technology products as they launched. 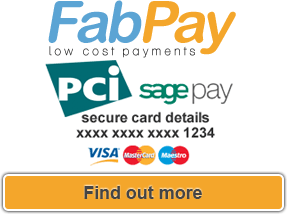 We use their channel manager system and TripAdvisor connections as well as their online payment system FabPay. We have also enjoyed wonderful support from Bed and Breakfast Association"
"Invest the time in the initial setup of your website and online booking system. As an educator I'm a big believer in using any training sessions provided. I've watched all of the freetobook tutorial videos and their booking system is idiot-proof." "Overall I have to say we couldn't operate without freetobook. There is absolutely no way we could have managed the room bookings across the various channels around the clock. The time I have saved is incalculable." "I would say … the worst advice has been on the amount of time to spend on Twitter! Less is definitely more." "We have spoken to reporters and done television and radio interviews with crews from Spain to Japan, our phone is literally ringing off the hook and there are bookings coming through 24/7!"